…the North has an opportunity to take advantage of the Atiku alternative with the prospects of re-uniting a sharply divided country, because he enjoys the confidence of a broader plurality of…Nigeria… To continue to insist on the Buhari candidacy in 2019, will mean the North is taking the rest of Nigeria for granted by presenting its worst as its best. If the 2019 presidential election is going to be a referendum on the Muhammadu Buhari presidency using good governance as a yardstick, it will be stating the obvious that the All Progressives Congress (APC) is headed for an electoral defeat. Having failed to fulfil his three-pronged campaign promises of fixing the economy, tackling corruption and ensuring the security of lives as well as property, President Buhari does not deserve a second term. The economy inherited by the Buhari administration has been made worse, no thanks to his clear lack of knowledge about how to manage a modern economy. Under Buhari’s watch, the combination of galloping double digit inflation, a disgraced national currency, a high unemployment rate and stagnant wages have led to a depressed economy, which has resulted in Nigeria’s overtaking of India as the poverty capital of the world. In Buhari’s Nigeria, over 80 million people are desperately poor and starving. Buhari’s pre-2015 reputation for integrity has given way to a rare form of personality disorder, which can best be described as dishonest integrity. His double standards, elevation of falsehood to presidential pronouncements, affinity for corrupt association disguised as loyalists, and an opaque style of leadership through unscrupulous proxies has seen the famous Mai Gaskiya degenerate into Mai Kariya. Buhari’s elevation of unprecedented levels of sectionalism to a near state policy has deepened the roots of corruption into a ravaging scourge, which is sprouting monstrous branches in all facets of Nigeria’s body polity. His selective war on corruption, which mainly targets political opponents both within and outside his party, has resulted in the perpetuation of the vicious cycle of corruption, as all that is required to escape justice is to become a chorister in Buhari’s choir of ignorance, singing his songs of praise to the high heavens. It is a fact that the Buhari administration has not initiated the prosecution of any high profile political associate, whether his chief of staff, Abba Kyari, who has been severally fingered in scandalous corrupt dealings; the disgraced former secretary to the government of the federation (SGF) Babachir Lawal, who was indicted for mismanaging funds meant for the relief of internally displaced persons (IDPs) in the North-East; or his former finance minister, Kemi Adeosun, who was caught in the criminal act of certificate forgery. That Nigeria slipped 12 steps in the Transparency International’s corruption perception, from 136 out of 175 countries surveyed in 2014 to 148 in 2017, is a clear indication that Nigeria has been more corrupt under Buhari than in the previous administration. Buoyed by their advantageous democratic demography, Buhari’s conservative base in the North-Western corner of Nigeria is determined to reinforce his failure beyond 2019, despite the fact that this is more glaring in Northern Nigeria, serving as a dangerous paradox with far reaching implications for the stability of Nigeria, going forward. In addition to his inability to rein in the Boko Haram insurgency group, whose activities have undergone a deadlier metamorphoses, Buhari’s complacency arising from his stubborn mischaracterisation of the scourge of marauding killer herdsmen as “farmers/herders clashes” have coalesced to make Nigeria the third most terrorised country on planet earth, behind Iraq and Afghanistan but ahead of war torn Syria. Buhari’s Nigeria is now a large stretch of the killing field, spanning the Benue valley, the plateau and the Mambilla highlands, and as far as the Adamawa mountains. Unfortunately, in a less developing country like Nigeria, where democracy is hinged on a political culture that is largely driven by the primordial sentiments of ethnicity, religion and place of origin, rather than pragmatic socioeconomic factors critical to nation building, elections are not always a referendum on the quality of governance. As Nigeria goes into the next election cycle in 2019, the conservative North seems poised to stick with the Buhari candidacy. The president’s rise to power has birthed a far right political culture in Northern Nigeria, which is underlined by a disruptive wave of ethno-geographic and religious populism. For northern conservative elements, Buhari’s provincial proclivities, which are clearly manifested in the elevation of his own section of the country over and above all others, as visible in the manner his government is constituted, and which tacitly implies the ethno-geographic supremacy of the Northern region, is the ultimate alter ego of those who covet power just for its sake. Notwithstanding the fact that Buhari’s sectionalism has not benefitted the Northern region but just a few privileged family and friends, conservative elements in Northern Nigeria are satisfied just seeing people of shared ethno-geographic and religious identity dominate government in the most rapacious manner. Buoyed by their advantageous democratic demography, Buhari’s conservative base in the North-Western corner of Nigeria is determined to reinforce his failure beyond 2019, despite the fact that this is more glaring in Northern Nigeria, serving as a dangerous paradox with far reaching implications for the stability of Nigeria, going forward. 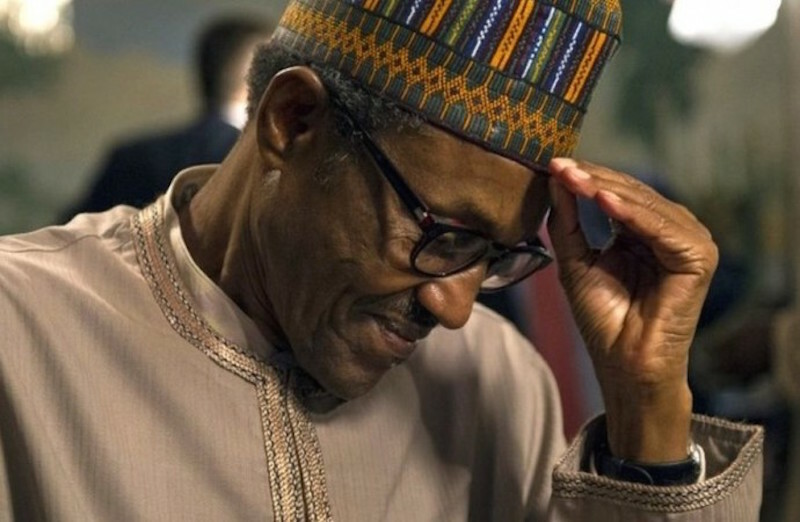 The heightened clamour for the restructuring of Nigeria by four out of the six geo-political zones of the country is an expression of deep seated feelings of loss of confidence in the non-inclusive leadership style of President Buhari… it has become clear that four out of the six geo-political zones of the Nigerian federation are not ready to go with incumbent President Buhari. As the poorest part of the contemporary world, Northern Nigeria is the major reason why Nigeria is the poverty capital of the world today. Similarly, the intractable Boko Haram insurgency, the deadly activities of killer herdsmen and cross border bandits that are ravaging the fringes of Nigeria’s North-West corner is also responsible for the designation of Nigeria as the third most terrorised country in the world today. In over three years into his administration, President Buhari hasn’t been able to solve any of the major problems of insecurity, poverty, illiteracy and disease facing Northern Nigeria. In addition to the fact that the other constituent parts of the Nigerian state are collectively bearing the burden of insecurity, poverty, illiteracy and disease, the Buhari administration has added salt to injury as its sectionalist tendencies has created a feeling of non-inclusivity, leaving Nigeria sharply divided along ethno-geographic, as well as religious fault-lines. The heightened clamour for the restructuring of Nigeria by four out of the six geo-political zones of the country is an expression of deep seated feelings of loss of confidence in the non-inclusive leadership style of President Buhari. As the 2019 presidential election approaches, it has become clear that four out of the six geo-political zones of the Nigerian federation are not ready to go with incumbent President Buhari. Whereas Buhari appears to enjoy the firm support of the largest democratic demography in his native North-West and sister North-East, former vice president and presidential candidate of the opposition coalition, Atiku Abubakar, who is reputed for his unimpeachable nationalist credentials, appears to enjoy more support among the other four constituent geo-political zones of the North-Central, South-West, South-South and South-East. Under this circumstance, the North has an opportunity to take advantage of the Atiku alternative with the prospects of re-uniting a sharply divided country, because he enjoys the confidence of a broader plurality of the constituent geo-political zones of Nigeria, as a substitute for Buhari’s divisive exclusivism. To continue to insist on the Buhari candidacy in 2019, will mean the North is taking the rest of Nigeria for granted by presenting its worst as its best. Majeed Dahiru, a public affairs analyst, writes from Abuja and can be reached through dahirumajeed@gmail.com.